A couple of stitched stone necklaces will be headed to my online shop today. A little bit of shop-tending before making my daughter's birthday cake, wrapping presents, and packing for a weekend away. Much to do, much to do. The happiest of holidays to those of you that celebrate. Stitching on small stones that I plan to string up on leather as pendants. I haven't made pendants in a long while so I thought it was time. I wanted to say a big THANKS to you that voted for my nonprofit on Thursday. Though we didn't win the money, it was such a great feeling to see familiar names among the likes. Thanks for helping out and for supporting the arts. You're my heroes. I ugly-cried my way through the first chapter of 'Wild'. A good, hard, cathartic cry. I'm not quite ready to carry on with chapter 2 yet but my chest feels lighter. I guess I needed it. 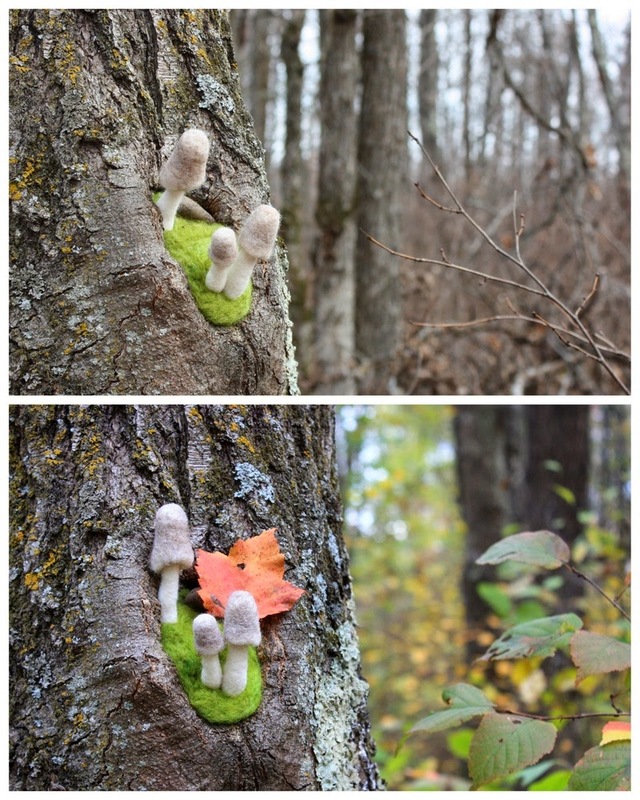 I'll be doing a needle-felting demo on Jan. 3rd at the Northland Arboretum in Brainerd, MN if anyone is in the area. Some of my favorite local artists including my friend Haddie, and Bob and Amy Carls from Ripple River will be there too, along with new friends Carla Benjamin and Peg Serani. We're doing a little drive for the food pantry so bring along a canned good if you stop by. 4-8pm. Would love to see you. It's the christmas season and I haven't had any egg nog. There's something wrong with that. On my to-do list...buy nog. Speaking of the holiday season. I know this time of year can be really rough on some people. To those of you out there that struggle...HUGS. Big hugs. 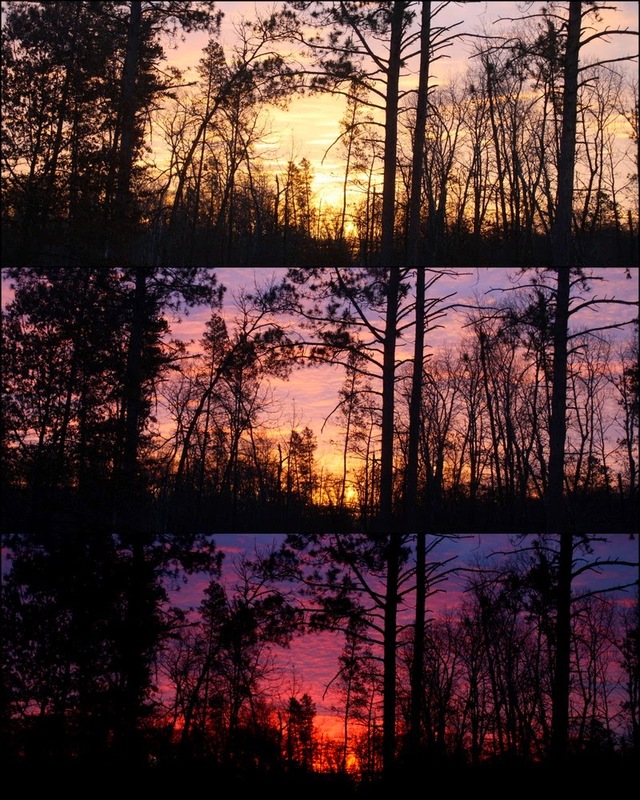 Tonight is winter solstice, and the returning of the light. I finished that stone I was working on. I was looking for color...I definitely found it. I hit a point with this stone where I had "just enough" going on, then barreled past it, and you know... I'm totally okay with that. I'll work on the "less is more" concept another day. Another foggy morning in the north woods. Such strange weather. A month ago it was so bitterly cold I didn't want to leave the house and now the snow is almost melted and my ducks are happily wandering the yard, splashing in puddles. In need of color (and finished work for my Jan. 3rd show), I started growing flowers on this stone. We'll see how it ends up. Happy Monday, all. I hope your week is colorful and bright. I've really been looking forward to some good productive working time and I got it, for the most part, this weekend. Between my dayjob, teaching classes, and hauling a teenager to and from driver's ed (gulp), there has been very little time for my work. Despite a full house and chores to do I managed to finish a stone and get a start on two new landscapes for a show I'm doing on Jan.3rd (more on that to come) . More to come on that later too. In the meantime, have a glorious Monday, all. I gave myself permission to play today, and this is what I did. I've been enamored of those jars with the little bottle brush trees in them. I tried making bottle brush trees...not my thing. Instead I went with wool and made a simple treescape, needling a string of mini LED lights in the largest tree and tucking the battery pack up inside the lid. I've given myself permission today to do any ol' thing I want, as long as it isn't work-related, involve cleaning, or generally considered productive. Or involve elbowing my fellow humans out of the way at some retail store. I might make some decorations for the house, or work on that stuffed animal for my daughter, or maybe just sit and watch the Blue Jays and Chickadees visit the feeder. Perhaps there will be a nap. I will most definitely eat that ramekin of creme brulee that's sitting in the refrigerator. I spent some time yesterday working on some wee owls for the next class I'm teaching. I've found a great group of women in my community that are excited about learning to needle-felt, and we add a few new ones to each class. We needle and chat and have snacks and it's great fun. The next class will these little guys. A tree full of wee hoots. This owl will not have any of your shenanigans. He will not have them. This owl might not either. Each is simple in shape, perfect for a beginner, but fun enough for someone who is more experienced. A very cold Monday off of work turned out to be a great day to meet some sheep. I'm always on the lookout for local wool so it was to my delight that a local fiber person, who just happened to be a sheep owner, walked into my place of work this fall and struck up a conversation. My friend Mary and I traveled down to see her and her darling sheep and came home with big bags of wool and even bigger smiles. This little sweetie pie really liked me my camera strap. All the sweet faces! Even though that guy was head-butting some other guys, he was still very cute. So is his photo-bombing friend. What a great day. Hope yours was as well. and I decided that maybe I would stay inside by the wood stove instead. Today though, I will be on the road and to those who ordered stones, rest assured they'll head off with Marv the mailman, mañana. Have a warm and wonderful Tuesday. 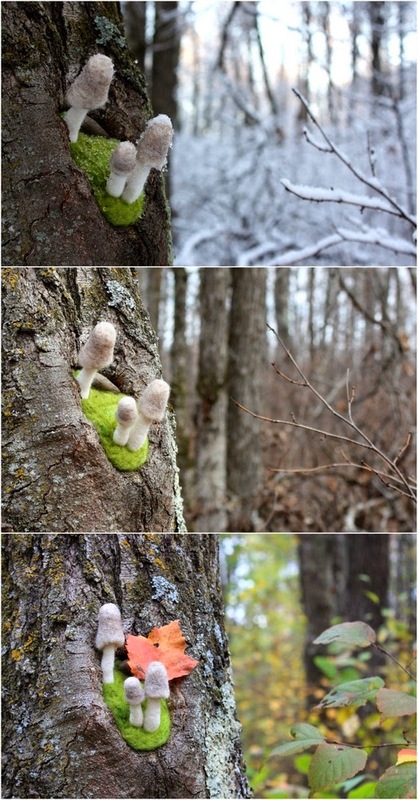 Just the other day I checked in on the mushrooms in a tree and mentioned that I would check on them again after the first snowfall. Turns out I didn't have to wait long. So here we go, mushrooms in snow. I'll check on them again at a later date. In the meantime I'm stitching a few stones. It seems that my soul is rebelling against the grey (and now white) landscape and I'm reaching for the sun in the form of wool stones. Local friends, I'd love to see you there! $20 fee covers all materials needed to make an adorable gnome, Santa, or wizard. Students get to keep their felting mats and needles after the class. 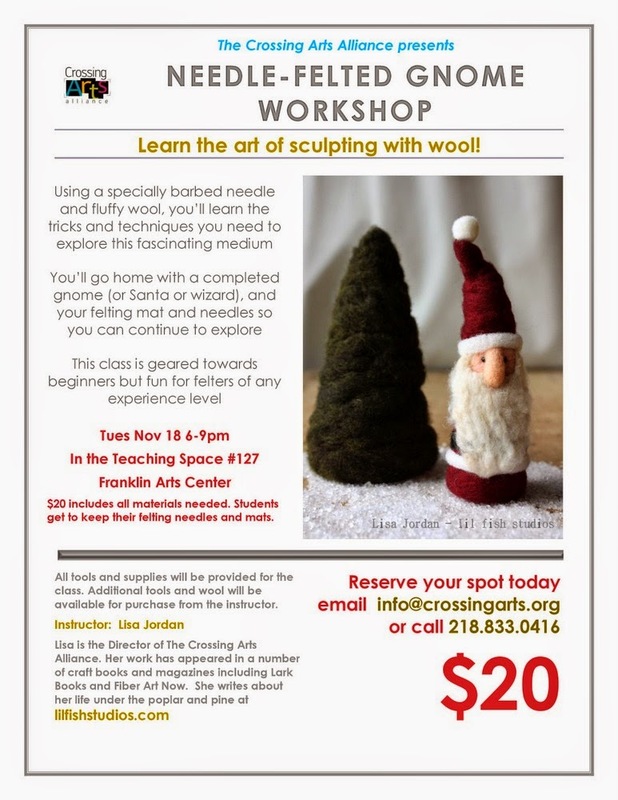 I'll be teaching another needle-felting workshop soon. I swear I meant to make a gnome but then there was this little Santa standing before me. I don't know how it happened, but I suspect it's kind of what happens to those poor stores around Halloween time... the Christmas stuff starts creeping in before you even realize it. ll be posting more information soon about class details. For those that are local, come on out and you can make your own Santa, or gnome, or maybe even a little wizard! It'll be good fun. This morning I took a little walk to check on those mushrooms I needled into a tree. It's only been just shy of a month so I wasn't sure what to expect. As I rounded the curve I was pleased to see they were still there, though a little droopier. The biggest change was in the scenery surrounding the tree. Greens and oranges of autumn have been replaced with grey and the russet of fallen oak leaves. No denying it, the grey season is upon us. I'm acknowledging it but I'll have to work on the "embracing it" part. I'll check on these guys after the first snowfall and we'll see they fare. Have a great start to the week, all. November is greeting us beautifully this morning. For those of you that have not yet been able to purchase a stone from me, I'm offering a "First Timers" grab bag in my shop. You won't be able to pick a specific stone at this sale but hopefully you're the type of person that likes a little surprise in the mailbox. I'm asking that you only purchase one, and again, that only those that haven't purchased a stone from me yet get one of these. Thank you all for your kind support. Have a wonderful Tuesday! One of the things I've been working on at my day job at The Crossing Arts Alliance has been putting together our very first Empty Bowls project. For someone who is slightly obsessed with handmade pottery, I have pretty much been like a kid in a candy store this week while the bowls are rolling in. For those that aren't familiar, Empty Bowls is a national project that works to raise awareness of food insecurity and provides a grass-roots way to earn money for those groups who are combatting said food insecurity. So here's how it works. Our potters, including some from two area high schools, have donated their time to make 500 bowls. We've solicited donations of soup and bread from area restaurants and food vendors. For a $20 donation at the door, attendees are treated to a simple meal of soup and bread and get to take home a handmade bowl of their choosing, as a reminder of all the empty bowls in the world. 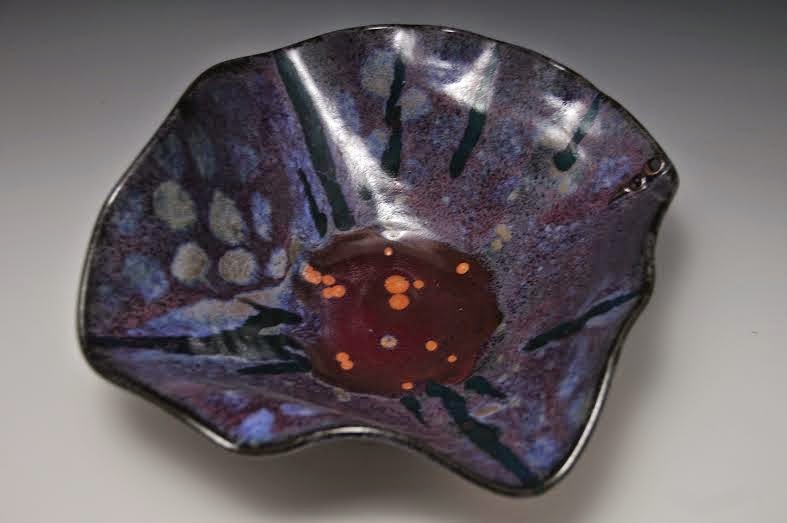 As a thank you to our generous potters we're also having a clay exhibit, The Language of Clay, featuring their work. The show opens this Friday. I can hardly wait. Though I'm pretty sure I'm going to need a day (or two) of rest after all of this is over. 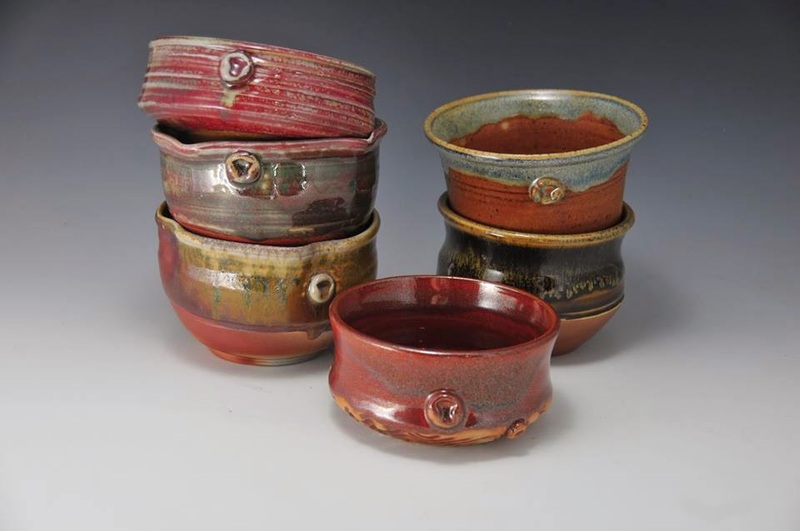 If you find yourself in the area, Empty Bowls is this Saturday from 11am to 2pm in the lower gym at the Franklin Arts Center, 1001 Kingwood St, Brainerd, MN 56401. Oh, and did I mention the soups? Chicken Artichoke Brie, Garlic Basil Tomato, Chicken Dumpling... yes indeed, this will be a good day. Hope to see my local friends there!